I am a graduate student researcher and a PhD Candidate at the University of Pittsburgh Molecular Pharmacology Graduate Program and Vascular Medicine Institute. 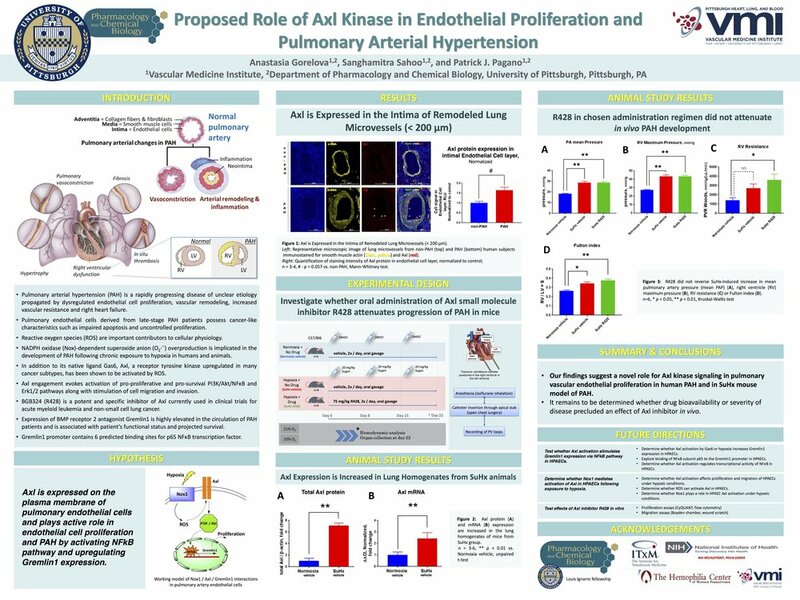 Long-term goal of my research project is to uncover the mechanism of pathological growth and division of cells that make up lung vessels of patients with pulmonary hypertension. While pulmonary hypertension is devastating and takes away disproportionately large number of lives of women, young children and working age adults, doctors still don't have the tools to cure disease completely. I am aspiring to make a meaningful contribution to the cause. Due to the sensitivity & confidentiality of information, full reading copy is available upon request. Al Ghouleh, I., Meijles, D. N., Mutchler, S., Zhang, Q., Sahoo, S., Gorelova, A., ... & Bisello, A. (2016). Binding of EBP50 to Nox organizing subunit p47phox is pivotal to cellular reactive species generation and altered vascular phenotype. Proceedings of the National Academy of Sciences, 113(36), E5308-E5317.